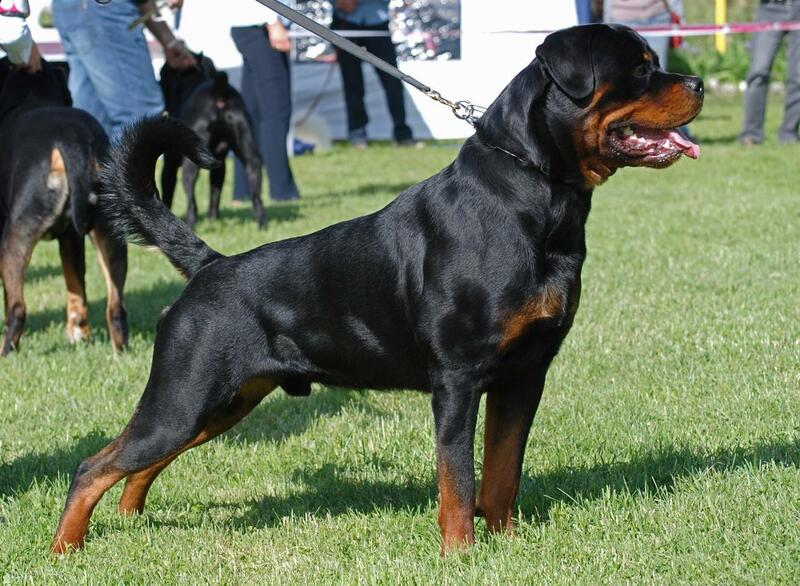 There is an upcoming litter in September from our dogs Harley and Ruby, also dog show champions. Ruby is 3 weeks pregant and should give birth in 6-7 weeks to 7 puppies. The puppies should ready to take home by November. Contact us for anymore questions. New litter of puppies born just 2 weeks ago (July 5). They will be ready to be taken home in about 8 weeks, enough time to get weened and get a vetrinarian check up. They are the puppies of Daisy and Miller, our best show dogs who are 5 time consecutive AKC champsions. There are 8 puppies within the litter, 5 boys and 3 girls. They cannot be taken home yet, but can be adopted and stay at our facility until they are ready to be realsed into their new home. If you wish to adopt, please contact us or visit our adoption page. 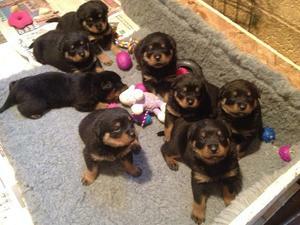 Rottweiler puppies born May 15, ready for adoption. Puppies of Best in Show dogs Zeus and Bella. The puppies are 8 weeks and have been weened. They have all gotten checked by a vetrarian and are all healthy for a new loving home. 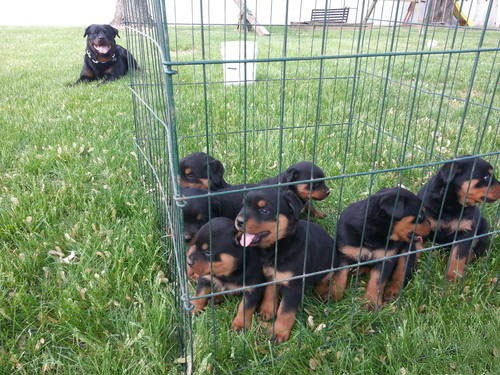 The litter consists on 7 rottweilers: 4 male and 3 female. If you wish to adopt, please contact us or visit our adoption page.